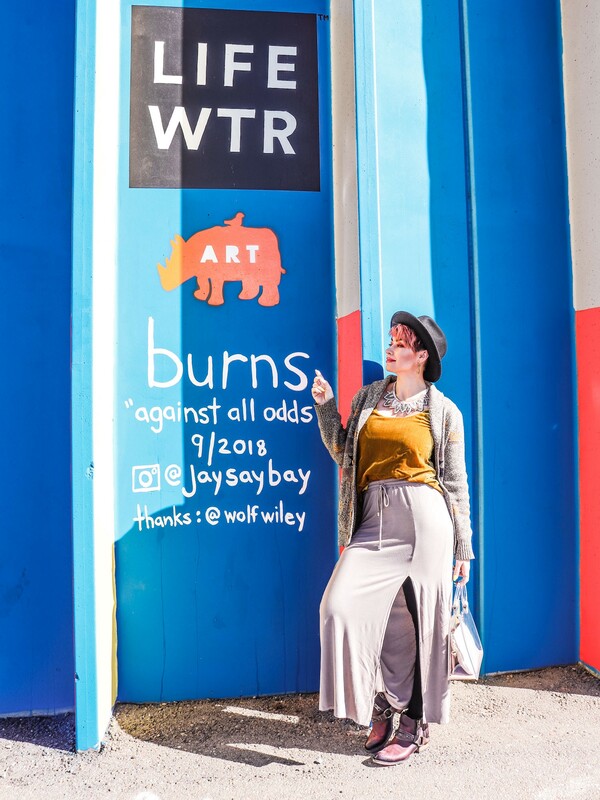 I’ve got an exciting new job — helping connect the Colorado fashion community! One of my big goals when moving back to Colorado was to get involved in the local fashion community. Denver may not be the traditional fashion hub that the east and west coasts are, but there is a vibrant and talented community here too! That’s why I’m so excited to announce that I’ve joined Fashion Eco — the fashion ecosystem. Fashion Eco is a startup that’s building a one stop destination for networking in the fashion community. Fashion Eco’s goal is to connect people working in all areas of fashion — from stylists and models to fashion designers and makeup artists. Right now, people collaborate and communicate within personal circles — but this is obviously limiting. Fashion has long been a “who you know” business — and if everyone knows and works with everyone else, the industry becomes much more robust. 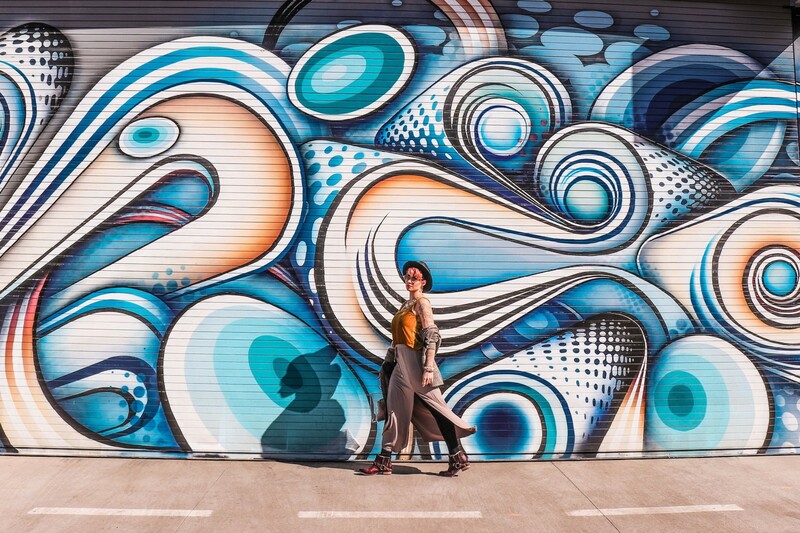 And it’s not just for Denver — the goal is to connect the fashion industry nationally and globally! So if you’re a stylist, designer, blogger, makeup artist, hairstylist, or in any other fashion industry role, you should sign up now! Aside from having a mission that’s close to my heart, there’s another reason why Fashion Eco is really interesting to me — one of the co-founders is a long time friend of mine! So when he called me up several months ago when I was still living in Cali to let me know about his latest project, I was really excited. I used to work in fashion in Denver — I was a bespoke seamstress and pattern maker for Denver Bespoke . This was back when Fashion Denver was just getting started. 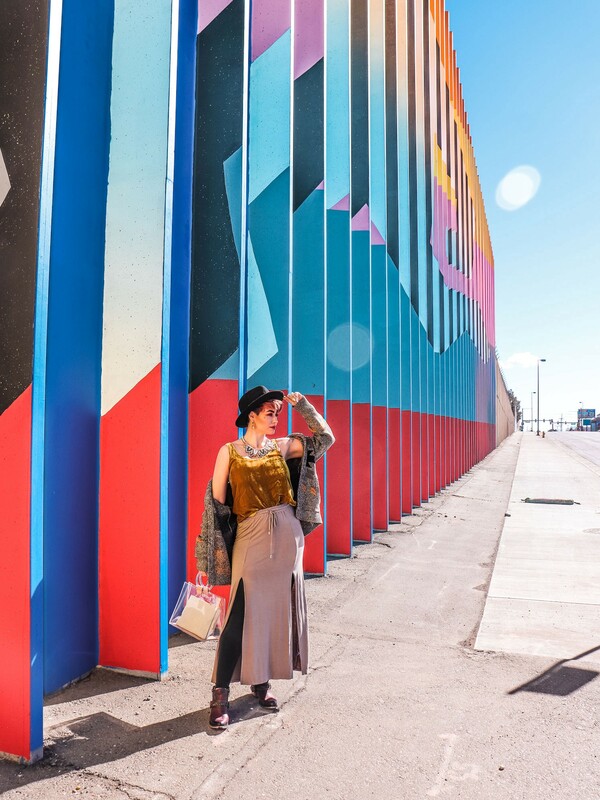 I’ve always thought Denver had a great fashion scene — it’s not as polished as San Fran or New York, because it doesn’t have the same history and infrastructure. What it does have is a lot of innovative talent. There’s a special culture in Colorado — of hard work, art appreciation, and a unique blend of Native pride, love of the outdoors, and interest in global fashion trends. 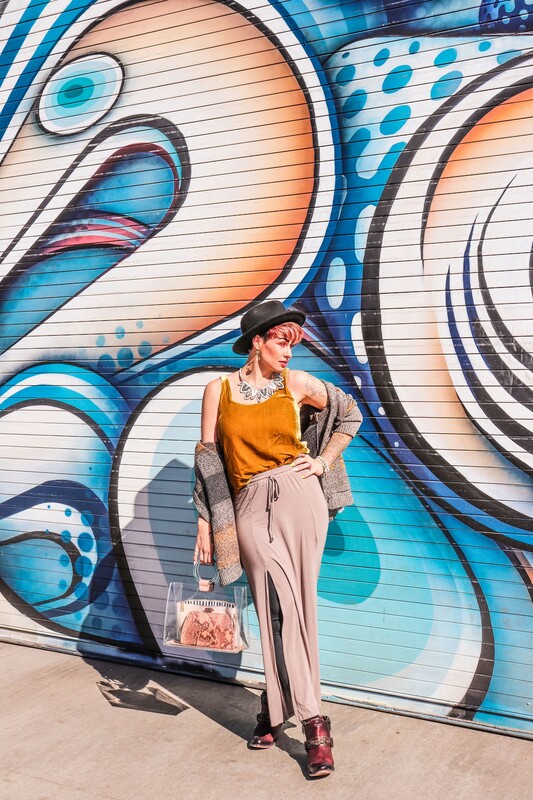 Not to run down California, but there’s something the Colorado fashion scene has that’s new and fresh. The vibe here is excited and eager for the possibilities. I find Cali to be a little jaded, a little entitled. California knows it’s cool and it rests on its laurels a little. Colorado is just figuring out what it can do. And I’m really excited to be a part of that! I’m joining Fashion Eco in the official role of Fashion Editor (I love it when I get to set my own job title!) and I’ll be handling social media, blog posting, and some community outreach. Of course, in a startup, everyone wears many hats. I love that aspect of startup culture — in a small team, everyone is working towards the same goals. I hope you’re as excited to follow along with my journey as I am to start it! Keep an eye out — I’ll be posting exciting updates about what we’re up to here and on my Instagram. P.S. How much do you love these photos?! The River North (RiNo) arts district in Denver has EXPLODED since I left! It’s now a really cool art, artisan shop, and eating destination. It has one of the most amazing collections of street art I’ve ever seen!